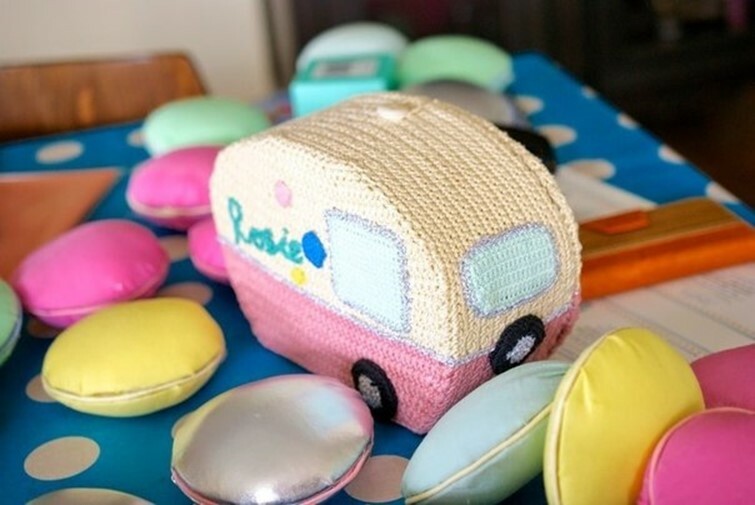 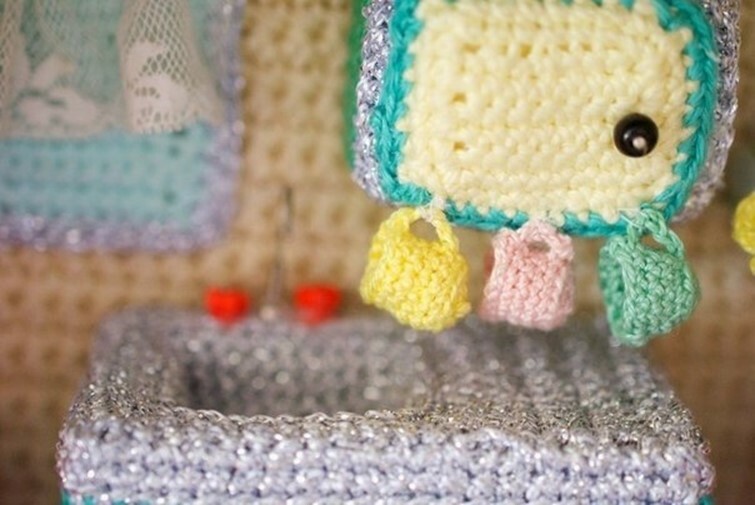 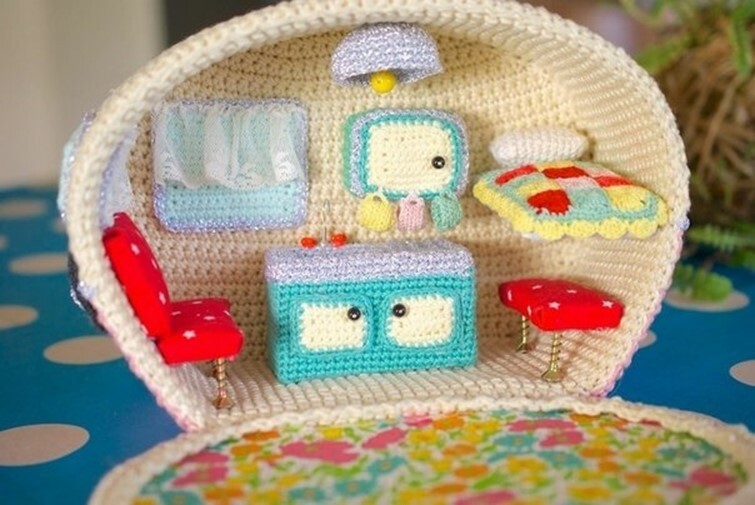 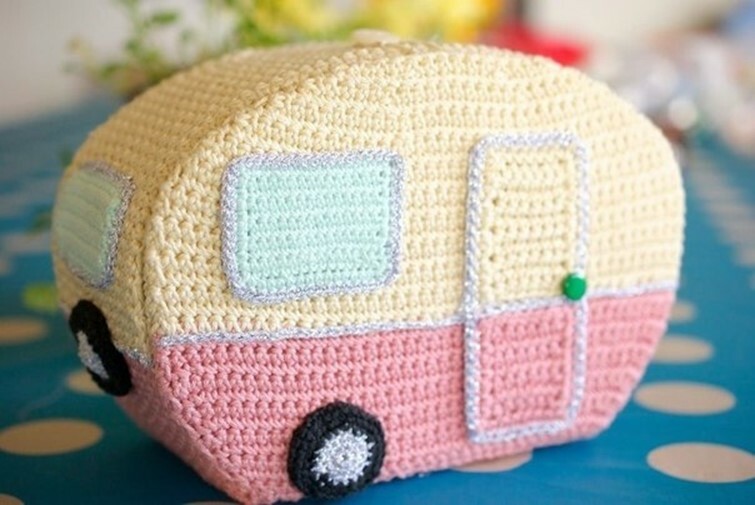 If you love to knit, then you will appreciate submitted knitted camper. 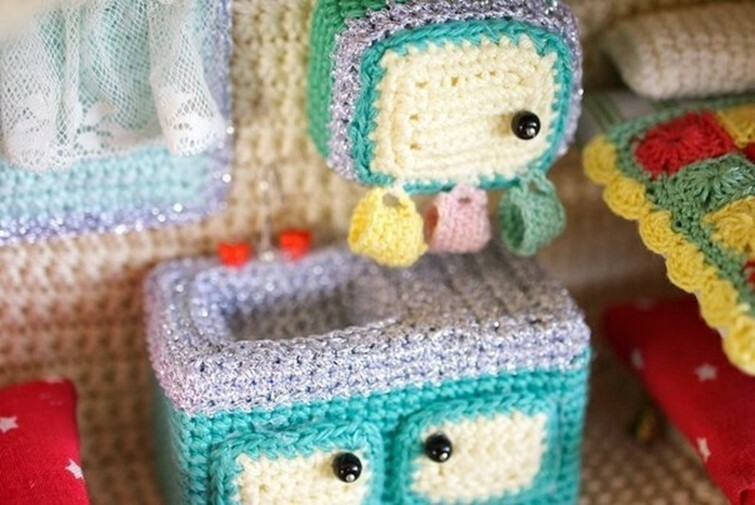 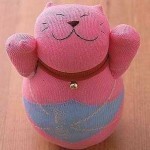 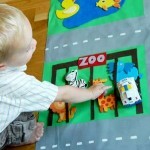 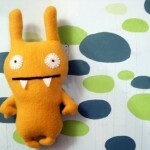 On the one hand – it is a soft homemade toys, and on the other – the fruit of a long effort. 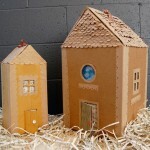 Evaluate how elaborated all the details. 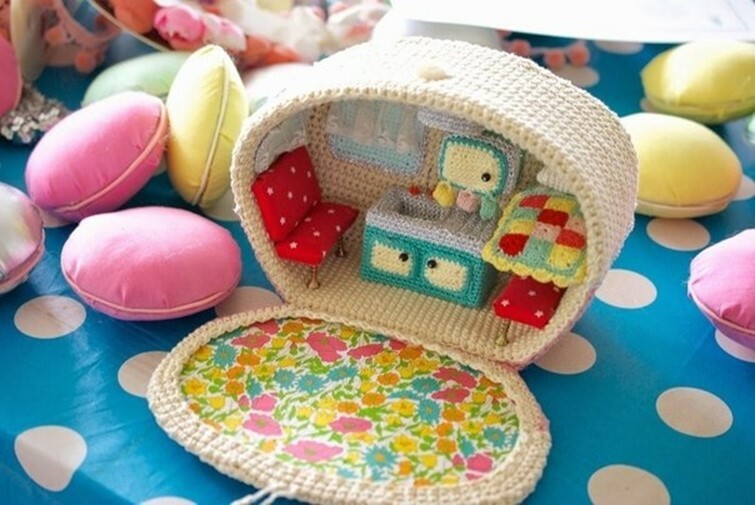 This miniature composition becomes exquisite gift for girls. 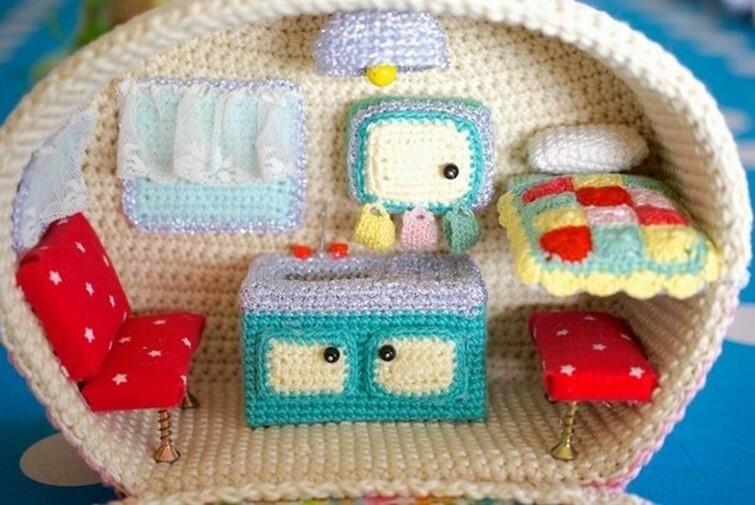 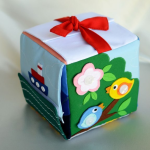 This toy will be a real decoration of the children’s room.